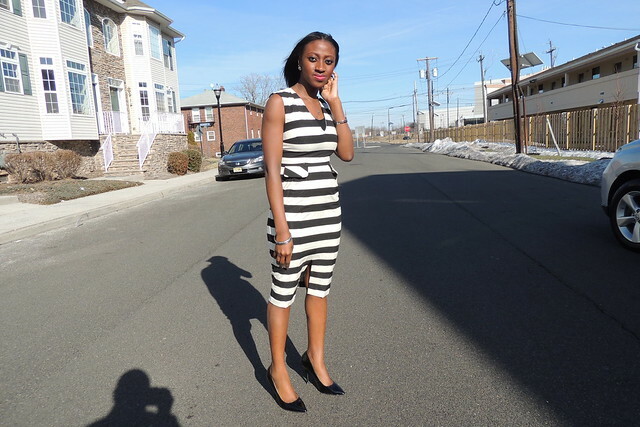 The third part of the White and Black series features a simple stripe dress with front slit. I love that the slit is modest and not too high making the dress wearable to church or work. 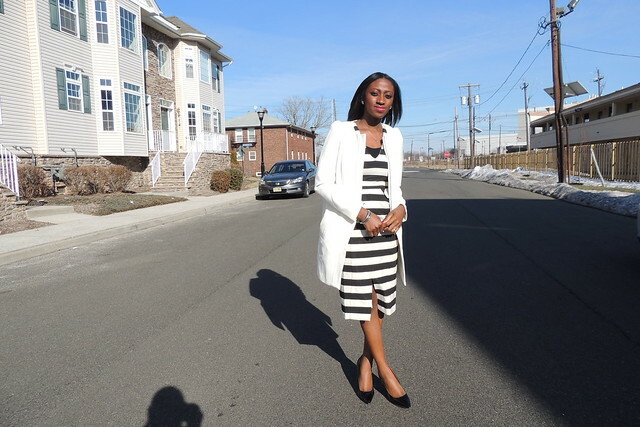 Paired it with my white coat and black pumps to complete the look. It must be a phase I'm going through with black and white because this series wasn't planned. There is one more post to come, and who knows if that will be the end of it.